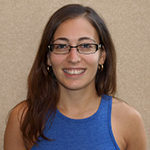 The researchers found that glutamate receptor proteins – specifically GluA2 subunit – are expressed in the lens and appear to be regulated in a similar fashion in the brain. In the nervous system, GluA receptor proteins promote memory formation and mood regulation, and play a role in the epilepsy pathogenesis. How are cataracts and epilepsy treated? 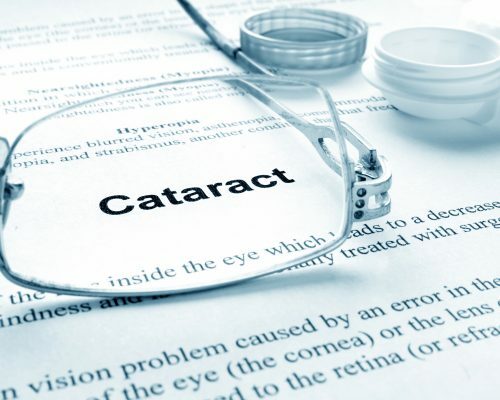 Cataracts are easily diagnosed with an eye exam, which involves pupil dilation for proper eye examination. Based on the condition of your eyes and the progression of the cataracts, your doctor will choose the appropriate mode of treatment. Treatment options for cataracts include prescription glasses or contacts. If corrective eyewear doesn’t improve your vision, you may be a candidate for cataract surgery. Cataract surgery is quite common in the U.S., with 1.5 million surgeries taking place each year. The surgery involves removing the cloudy lens and replacing it with a clear artificial one. Ninety percent of patients who undergo cataract surgery experience vision improvement. Improve the lighting in your home with more fixtures and brighter lamps. Make sure your eyeglass or contact lens prescription is the most accurate. The best home remedies for cataracts start with food for eyes. The nutrients we take in help protect our cells from damage. Carotenoids, the pigments that occur naturally in algae and plants, are at the cornerstone of nutrition for cataract prevention. Carotenoids help to absorb damaging blue and near-ultraviolet light to protect your vision. Foods you may want to add to your diet for cataract prevention include leafy greens, bell peppers, carrots, fatty fish, eggs, nuts and seeds, and fresh fruits, especially avocados. Focal epilepsy cannot be treated while an episode is occurring, so treatment involves the prevention of a future seizure or recovering from one that just occurred. Your doctor will address the issue depending on the cause of the seizures, such as kidney or liver failure, or very high blood pressure. The best thing to do if someone is having a seizure is to try to keep them safe. Ensure there are no objects in the way to prevent injury. Do keep in mind that there is nothing you can do really while the seizure is taking place to stop it or slow it down, so your main concern should be the safety of the affected person. Medications are often prescribed to manage epilepsy and prevent severe seizures, although many are associated with mild side effects. In some cases, surgery may be required, which involves removing part of the brain that is causing the seizures. Surgery cannot be conducted if the part of the brain in question affects speech, language, motor function, vision, or hearing. Other treatments for epilepsy include vagus nerve stimulation and a ketogenic diet.